There is no destination that compares to the natural beauty found along the scenic Intracoastal Waterway of the Southeast. 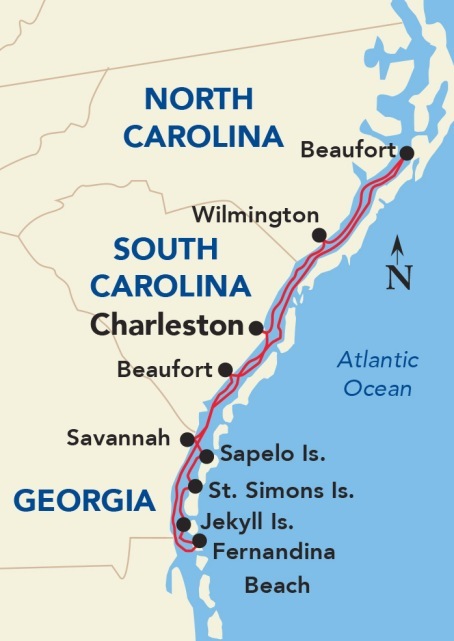 This amazing voyage begins and in ends in Charleston, known for its cobblestone streets, gas-lit lamps and historic landmarks. While in Wilmington, explore Georgian, Victorian, and antebellum-style homes restored to their original grandeur. Stroll through beautiful gardens and city streets lined with shopping venues and seafood eateries. Take a horse-drawn carriage ride through the beautiful city of Beaufort, one of the oldest towns in North Carolina featuring a 21-block historic district that includes a boardwalk lined with unique shops perfect for browsing. 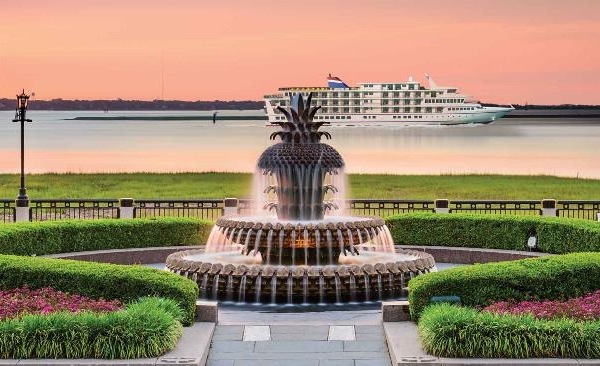 With its emerald tree canopy and majestic architecture, Savannah is a bustling seaport with renowned historic districts that preserve its 19th Century opulence. After touring historic homes, sample the city’s renowned nightlife. Enjoy an Oyster Roast on Sapelo Island and learn the history of Jekyll Island’s “Millionaires Village,” once a playground for the rich. Explore 240 acres of extravagant homes and winter cottages recognized as a National Historic Landmark. Discover the natural beauty of Amelia Island, with its miles of quartz beaches and rolling sand dunes. Fernandina Beach, the island’s only city, now harbors a treasure trove of history, antiques, and collectibles.